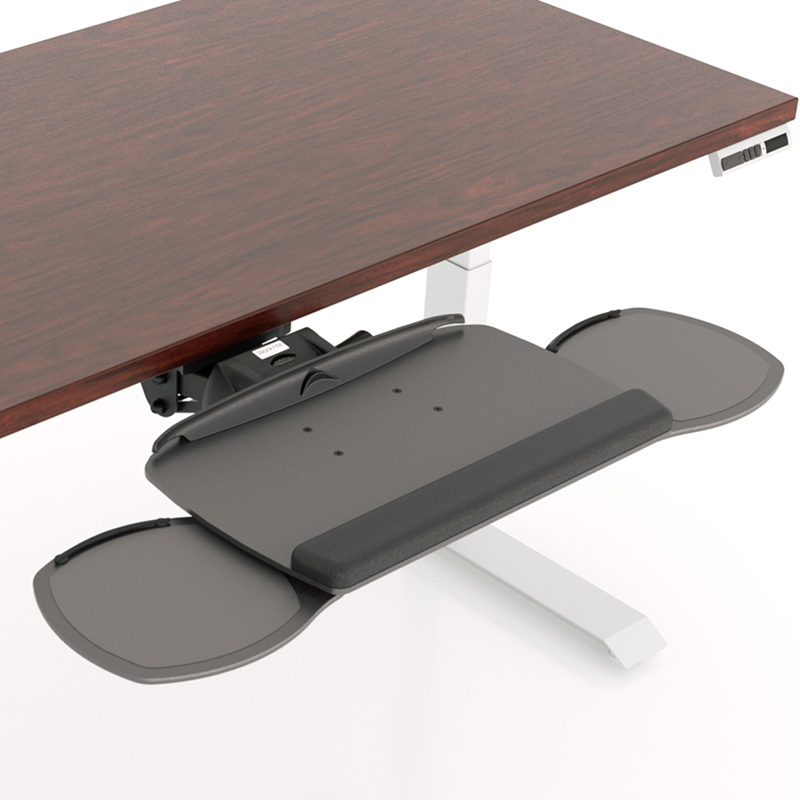 The versatile Advantage keyboard tray system is available with single or dual mouse surfaces and can be used in both straight and corner workcenter applications. The platform is constructed from durable ultra-thin phenolic and features a built-in document holder and cable management. 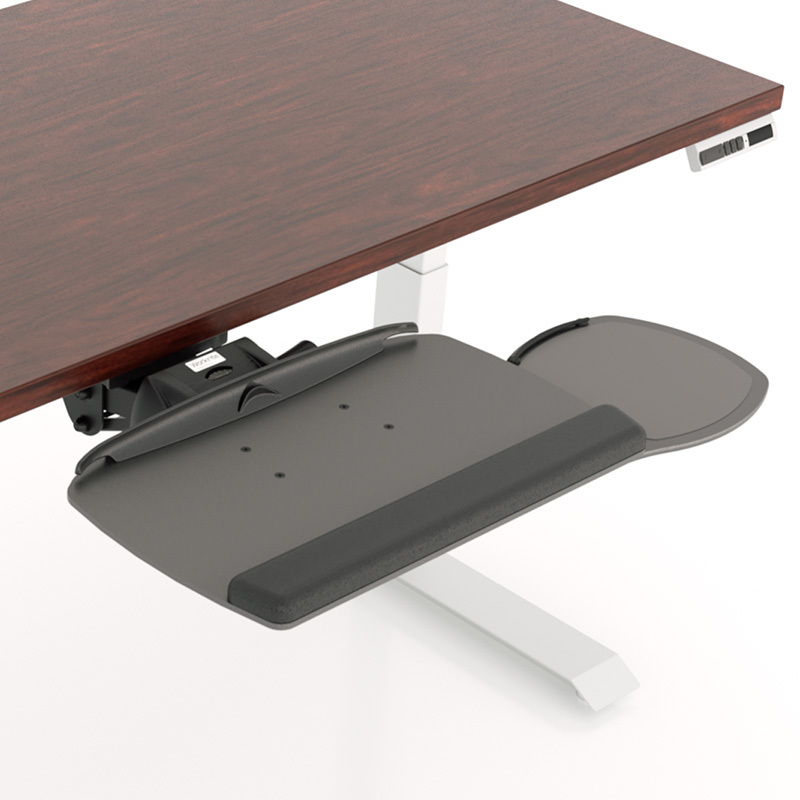 Advantage Single and Advantage Dual are both available as solo keyboard platforms or as part of complete keyboard tray systems that include our Pinnacle 2 Value keyboard arm with nylon glide track in 17” or 22” lengths. This versatile Mouse-Under system features a durable ultra-thin phenolic platform with the Optimizer document holder and cable management. 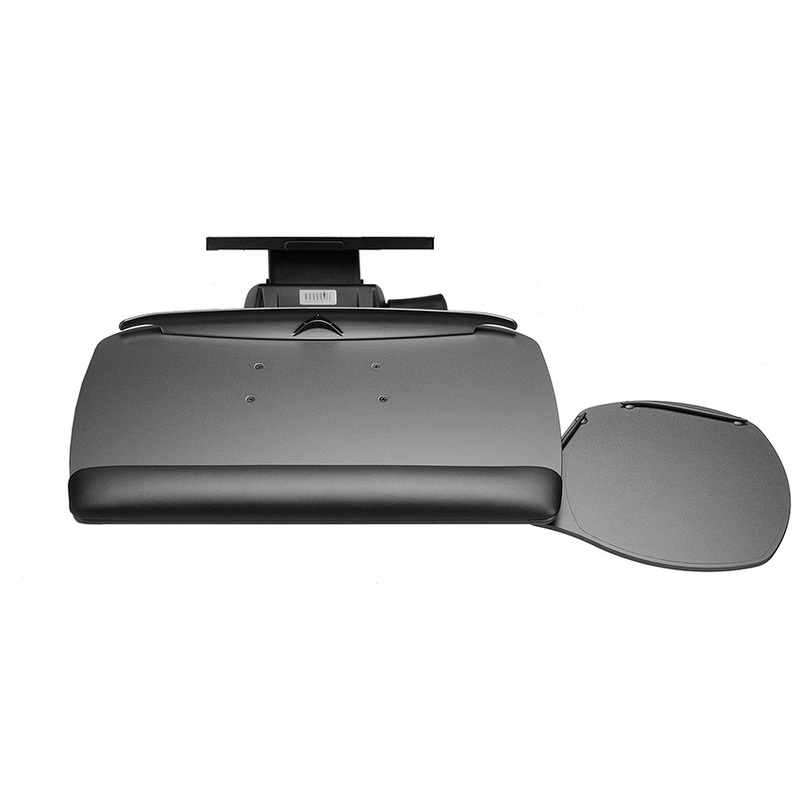 The dual mouse surface design allows instant change from right to left handed mouse use. 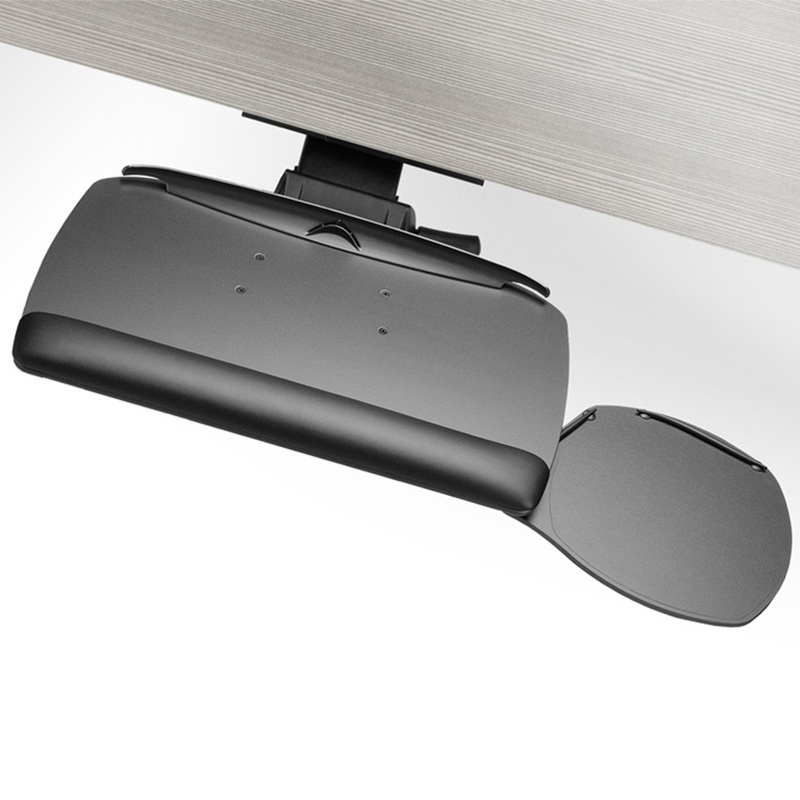 Mouse surface pivots out for use and in for storage. 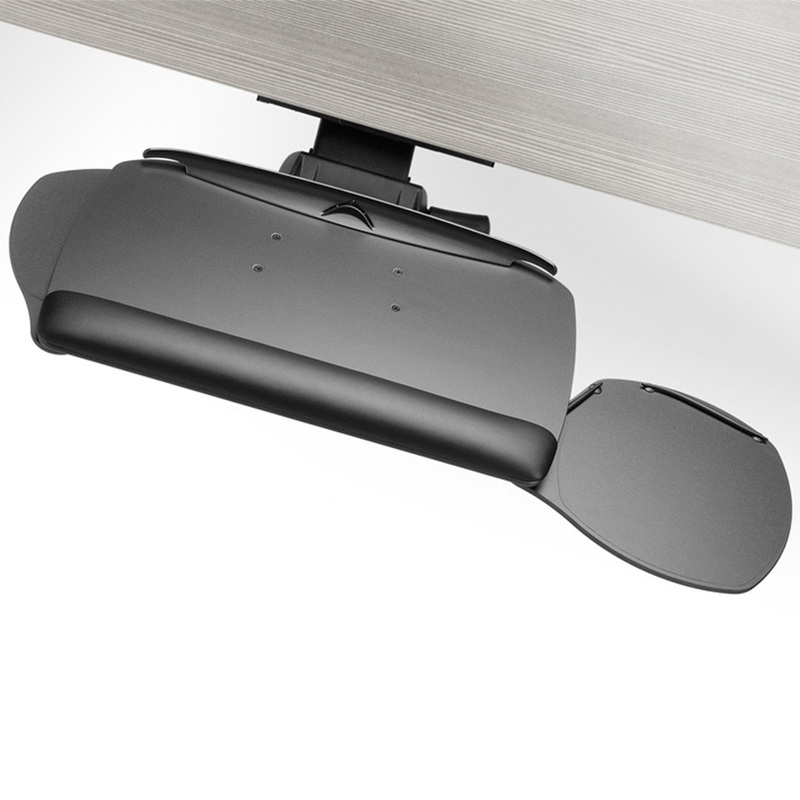 Includes the Pinnacle 2 Value adjustable keyboard arm with nylon glide track.